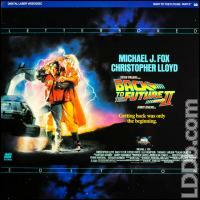 Laserdisc - EX / NM, Cover - EX, For high quality images of this item see our website. From a private collection that is in the best condition I've seen since putting LDs into my bins from the Factory 30 ago. Disc and cover are excellent. Near Pristine Disc! one hairline. Jacket is VF+ Condition! 1" peel on bottom edge. Comes with New Protective Sleeve! ~ COMIC JUNGLE ~ $4.00 S&H in the USA will combine shipping with multiple purchases. Nice cover sharp corners no issues. Very good condition - but hole punched.